I will start off by saying we really enjoyed this movie…it was just a simple movie with a really nice story line. 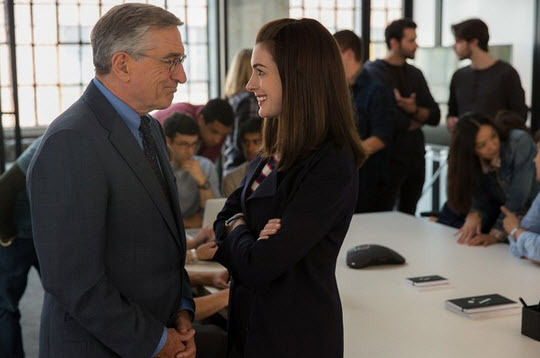 Plus, whats not to love with Robert De Niro and Anne Hathaway in the starring roles? 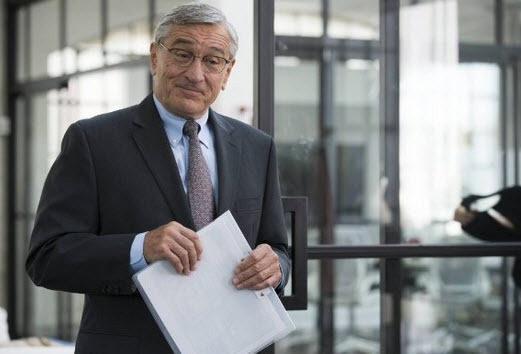 Normally, De Niro plays a tough guy, so it was very cool seeing him in an opposite role. Anne Hathaway is just America’s sweetheart in my opinion. A retired successful business owner and widower lands an internship at a fashion website run by a young, career-driven woman. But it is much more than that. It is an entertaining movie with real life happenings. Many times retired folks find they have more spare time than they would like…that is, after all the travel and bucket list items have been accomplished. I said many, not all….and so this story is of a gentleman who is looking for something to do other than be a Wal-Mart Greeter..(which there is certainly nothing wrong with being a greeter)….but he wants to contribute something and make a difference. The young lady, along with the encouragement of her husband…. launched a unique website premise which utilizes the right way to run a company with employees who really do have input. 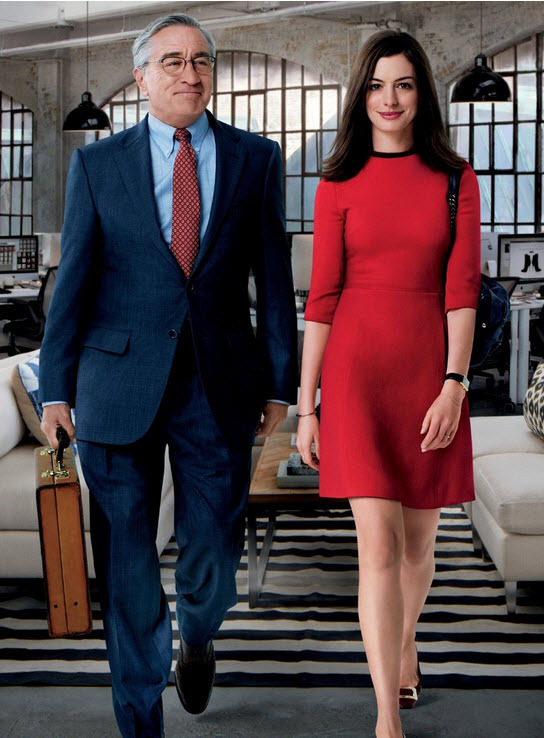 The movie was very entertaining and of course I identified with the “old way” of office attire and work habits… which made the revelations of a modern day office with employees being more than just employees attractive to me. Oh, and there is no romantic connection between these two generations-apart people. Just a good, sweet relationship. Have you seen this movie and if so…what are your thoughts, my dear readers? This movie is on my list to see, Kari.